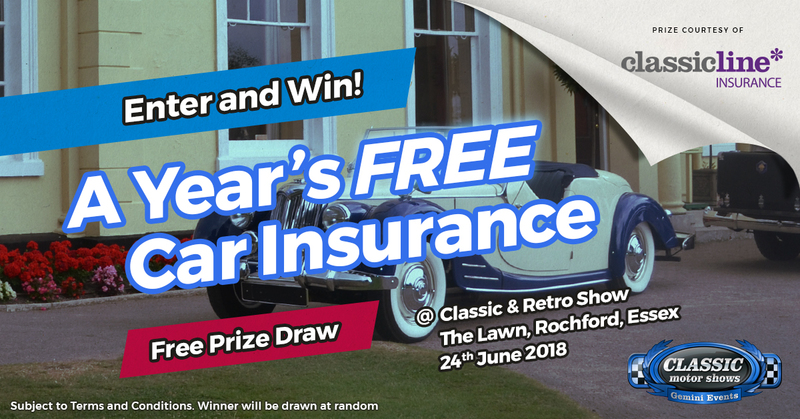 Visitors to the ClassicLine Insurance sponsored Classic & Retro Show at The Lawn in Rochford, Essex, on Sunday 24th June have the chance to win a year’s free car insurance. The ClassicLine Insurance prize draw will be one of many highlights which will also see classic cars from the bygone years of motoring on show, plus vintage fashions and apparel, all part of the family fun day organised by Gemini Events. As well as local car clubs displaying their vehicles and trade stalls, there will also be dance demonstrations by Mr Dickie Bows and live music courtesy of Rockin the Joint and The Bluebird Belles. The Lawn is a stunning setting which makes the one-day motoring extravaganza and family fun day a fantastic way to spend the day.